A good credit score can affect everything from the interest rate you pay on loans to whether you land that dream job. On the other hand, there are lots of things that can negatively affect your credit score and knowing what factors can impact it is important. 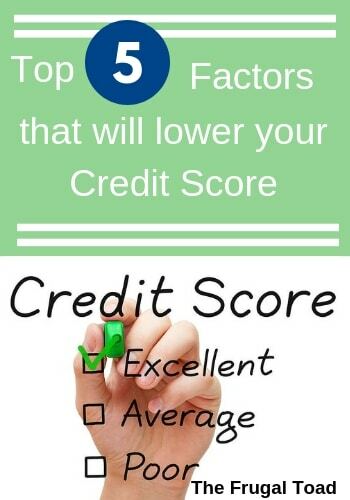 We've put together a list of the top factors that can lower your credit score. As you can see in the table below, not paying your bills on-time, over the long run, has the greatest impact on your overall credit score. The total amount of outstanding debt as a percentage of your credit limit has the next greatest impact. So you have a decent 650 credit score and you are paying your bills on time. 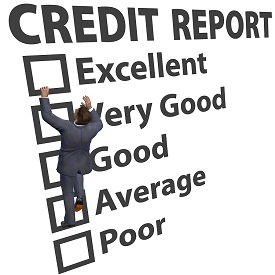 What should you do to improve your credit score? Referring to the above table, continuing to pay your bills on time, keeping your credit utilization ratio low, and avoiding taking on new debt will help to raise your credit score. Just as important is avoiding the following situations that can dramatically affect your credit score. Declaring bankruptcy will have the biggest impact on your credit score, lowering it anywhere from 130-240 points. Bankruptcy can stay on your credit report for as long as 10 years. A tax lien is a public record of any unpaid tax liability. Failing to pay your taxes can harm your credit score as badly as a bankruptcy or it can have little to no impact. In July 2017, the major credit bureaus announce they will remove tax liens from consumer’s credit reports if they do not include necessary identifying information. A property foreclosure can negatively impact your credit report by up to 160 points and remain on your credit report for up to seven years. A deed in lieu is a procedure in which a homeowner turns the property over to the mortgage lender as a way to avoid foreclosure. The mortgage lender then turns around and sells the property to cover it’s loss. Besides the damage caused by missing mortgage payments, a deed in lieu can lower your credit score by up to 125 points. A short sale results when a property can’t be sold at a price sufficient to cover the outstanding debt. The mortgage lender accepts a negotiated payoff in exchange for forgiving a portion of the loan because it allows the bank to avoid the much more expensive foreclosure process. By managing your debt responsibly and avoiding these five situations you can protect your credit score from taking a big hit.